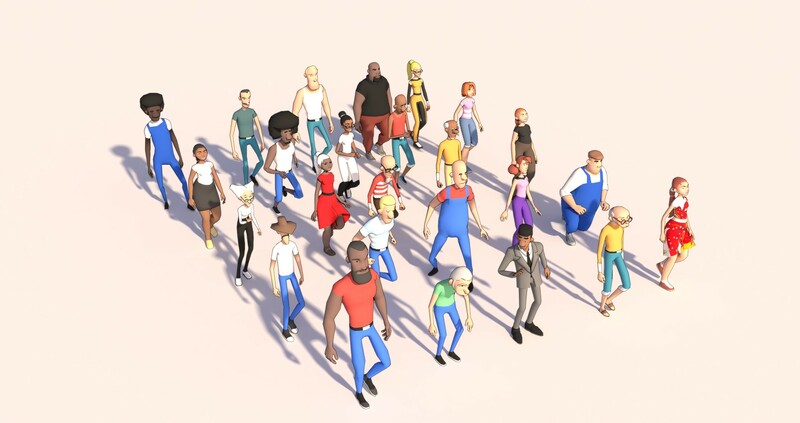 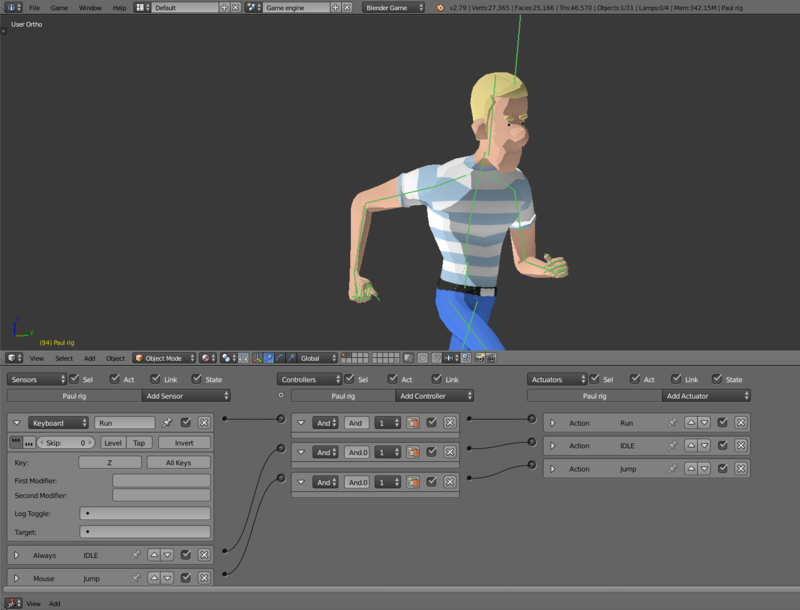 (25 characters low poly animated ) is a blend file containing 25 characters modeling in low poly, and rigger with an animation for each characters. 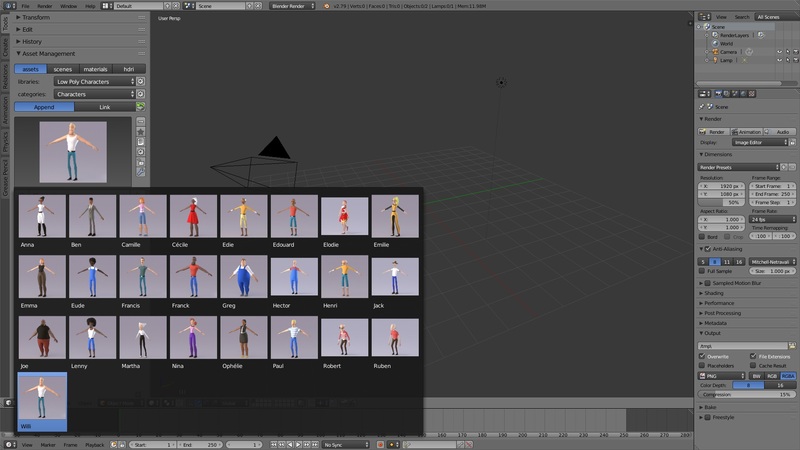 This pack also contains a zip file with a version for the users of the " Asset Management "
If you want to change the move commands, select the rig, open the logical brick option and assign your new commands. 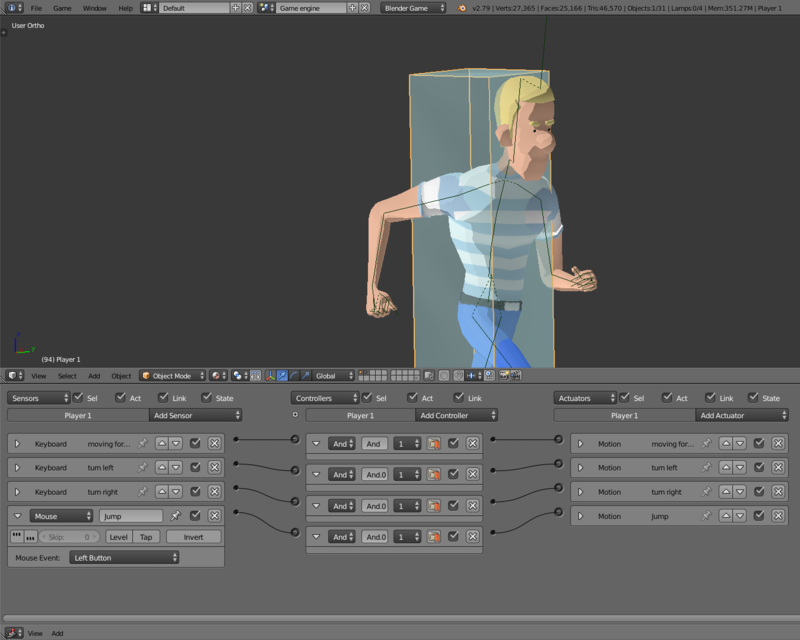 To modify the jump command select the cube as on the image and assign your new commands and also modify the command of the jump animation on the rig. 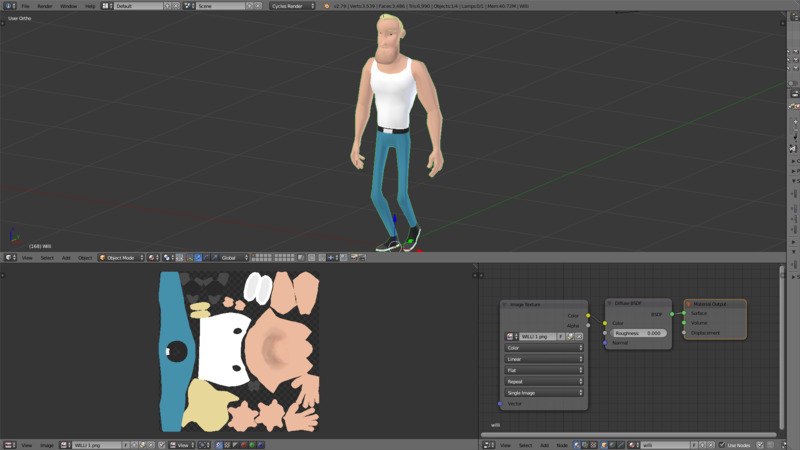 Hello everyone, to use this pack of assets is very simple just open the file Blend and import the objects by group or individually.